There are 6 stunning images in this collection and they will be available as digital images and are available now. Over the next few days you will see some amazing card creations from the DT showcasing these amazing images.... so be prepared to be WOWED. 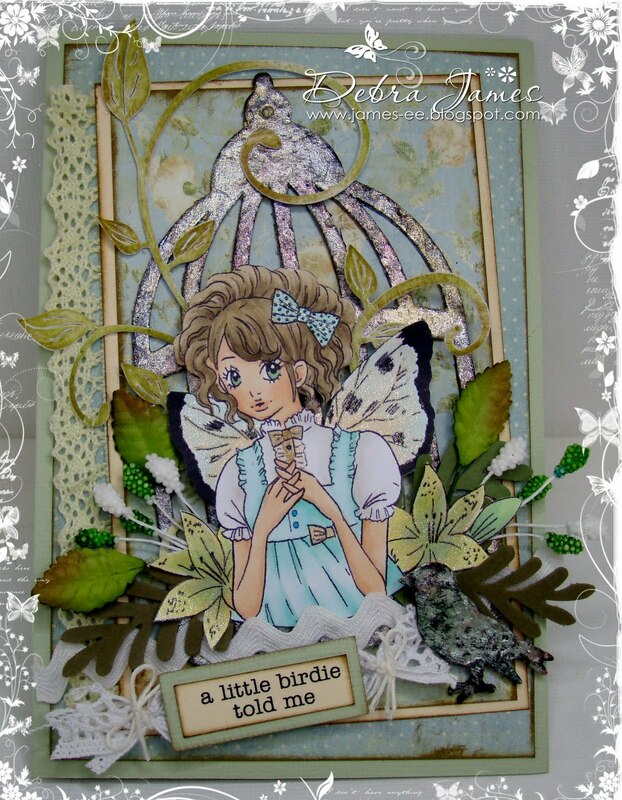 Cheery Lynn Fanciful Flourish Die, Leaves and Flower Stamens that I used on my card are from Bizzy Bec's store. Gorgeous Debra! Love how everything is pulled together! This is adorable! You did it just perfect! WOW lovely card! love all your embellishments! This is just beautiful Debra, love all the details,and colors, just gorgeous.Fabulous image.